You’re ready to start growing your business and increase your sales conversions. Facebook ads are a valuable tool in your marketing tool belt for your growth strategy. However, care must be taken to set goals and plan your spending effectively out the gate to fully optimize your investment. It’s a common mistake that people make to just throw money at Facebook ads hoping that Facebook will take care of the heavy lifting, when there really is a science behind effective spending. Website Conversions – Pay for each conversion on your website. Facebook calls these “Objectives”, and uses them to optimize your ad experience. Creating the right advertising objective (what you want to achieve with your Facebook ads) will be key to your success with Facebook ads. Regardless of the ad objective you choose, you’ll still pay for any Likes, Shares, Comments, and any other kind of engagement your ads receives. However, and this is key, Facebook will optimize your ad and show it to users who are more likely to perform the action you desire, depending on the objective you select for your ad. Once you have decided on your Objectives, it is time to set up your Facebook Ads. There are two kinds of ads, Mobile ads and Desktop ads. Desktop ads have two different placement options. The first is the sidebar. The sidebar allows you to display an ad without being required to have a Facebook page. The other placement option is in the news feed. Mobile ads tend to have a higher overall engagement with more likes and shares and higher click ratios. Mobile ads also make it much easier to directly target someone with an ad. However, if you are looking for a broader reach you cannot discount the value of Desktop ads. There is no “better” here. It is important to A/B test both options within your Facebook marketing strategy to learn what works best for you. 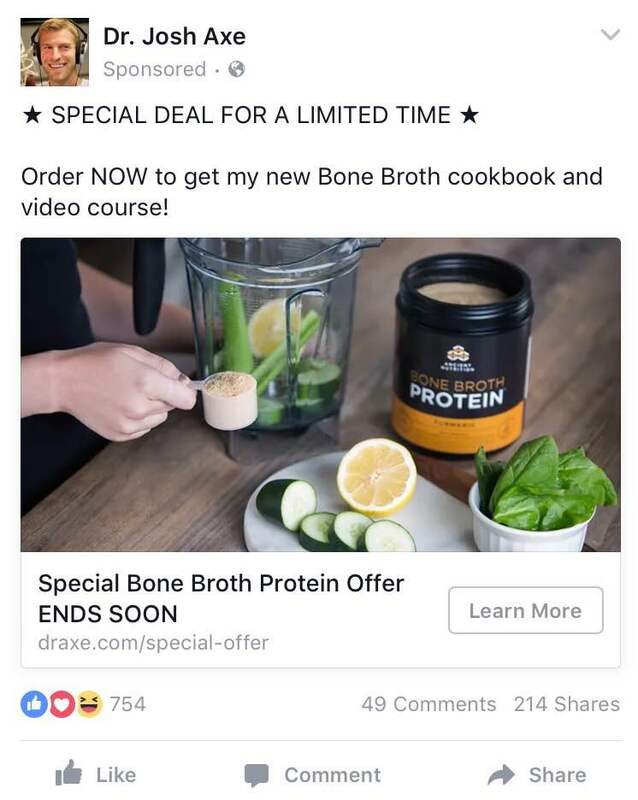 These ads require a Facebook page to create. 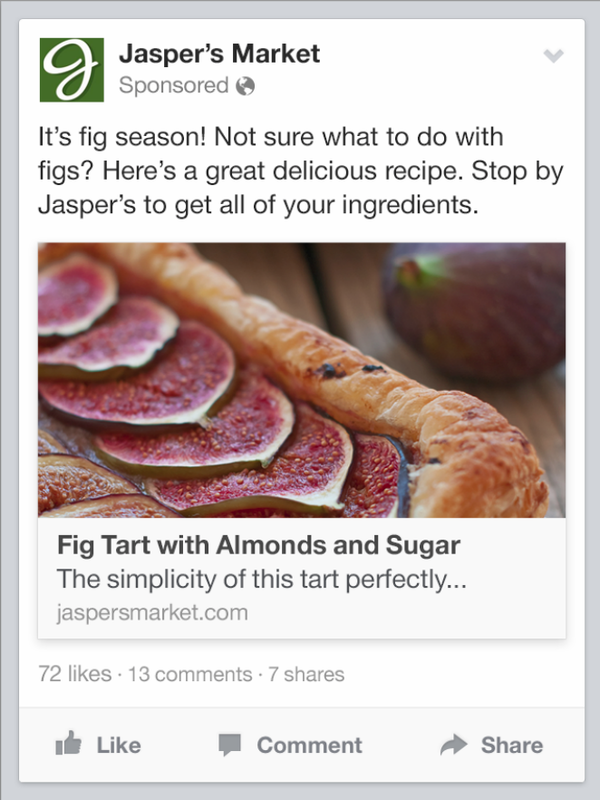 They function essentially like photo or link posts you create — like a status update for your Facebook page. These ads allow you to advertise multiple products within one ad. This would be useful if you wanted to show off your catalogue or display different variations of your product. Video ads autoplay muted until the Facebook user taps the video to un-mute the audio. 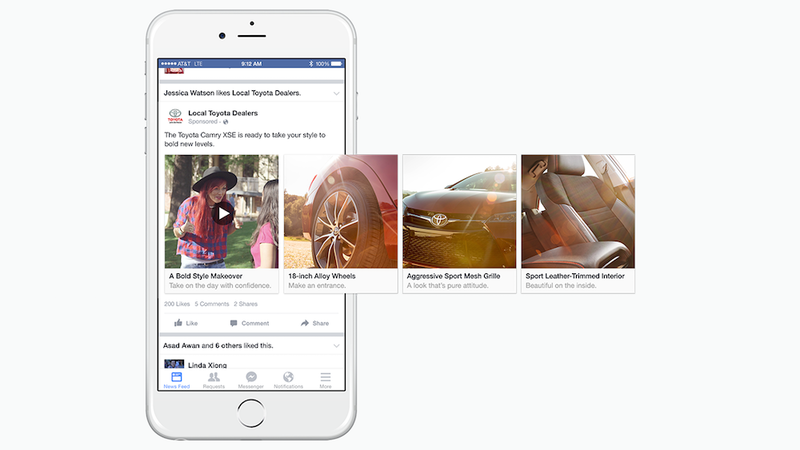 Facebook dynamic ads helps you promote relevant products to shoppers browsing your product catalog on your website or mobile app. This is the best way to target different demographics based on their browsing history. You can also create a profile of the type of person you want to target with a certain ad. Remarketing is a powerful tool to create more conversions from visitors to your website through a Facebook ad. Here is how it works. First you must create a Facebook pixel for your website. The pixel will be placed across your whole website and will report conversions, build audiences and get rich insights about how people use your website. Jane visits your website and looks at one of your products. She places it in her cart but does not purchase. Your Facebook pixel will track this information. The next time Jane is scrolling her news feed, she will see your custom ad with a Buy button which reminds her to finalize her purchase. A useful thing to note here is that you can measure the number of conversions your ads generate to calculate your return on ad spend. Facebook ads are a great way to drive traffic to your website, engage your target audience and create sales conversions IF thoughtfully integrated into your overall marketing strategy. Do research, set goals and know your target audience to achieve this evident return on investment. If you have any questions about how to set up your FB ads please drop us a line at info@methodmill.com.